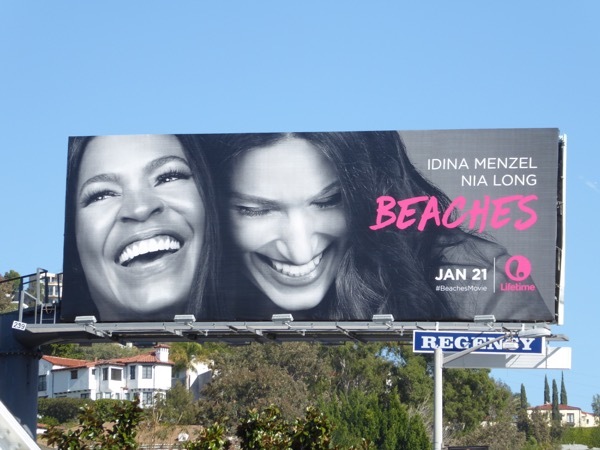 Hollywoodland has a nasty habit of unnecessarily remaking cinematic classics, but will Lifetime's remake of 1988's beloved Beaches with Bette Midler and Barbara Hershey fly higher than an eagle, or crash like waves along the shoreline? 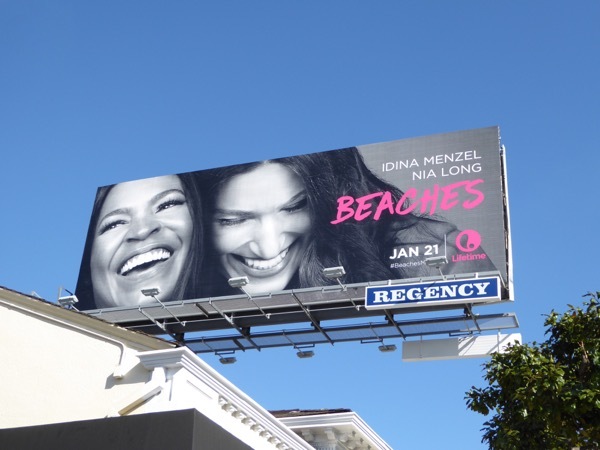 Back in 2012 Lifetime remade Steel Magnolias with an all-black cast, and this contemporary retelling of another fan-favouriote stars Broadway icon Idina Menzel and actress Nia Long as the childhood friends who share a lifetime of ups and downs across the decades. 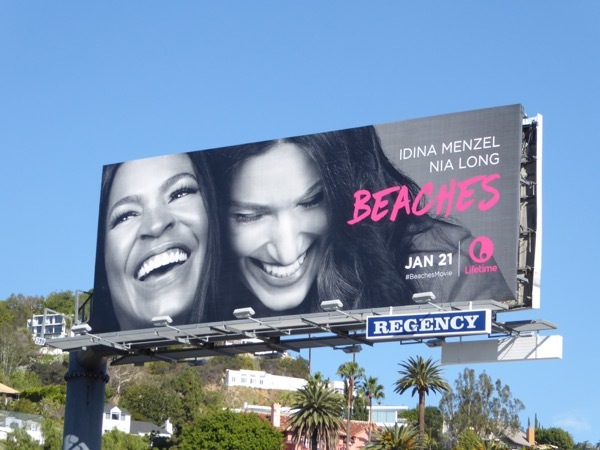 Let's hope everyone is still smiling when this made-for-TV movie airs, because sometimes life can be a real beach, and those are some pretty big footsteps to follow in. 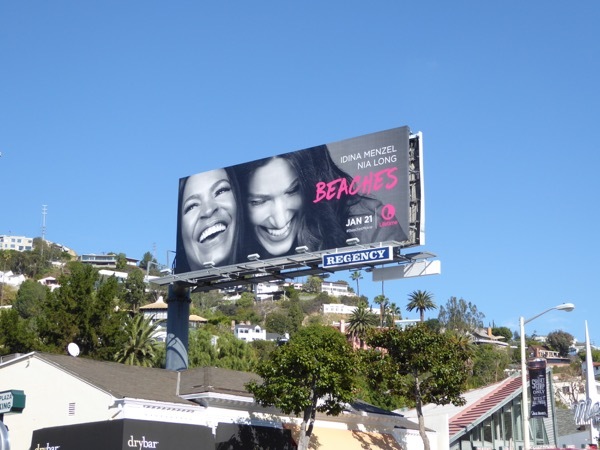 This joyful Beaches Lifetime movie billboard was snapped above West Hollywood's Sunset Plaza on January 6, 2017. 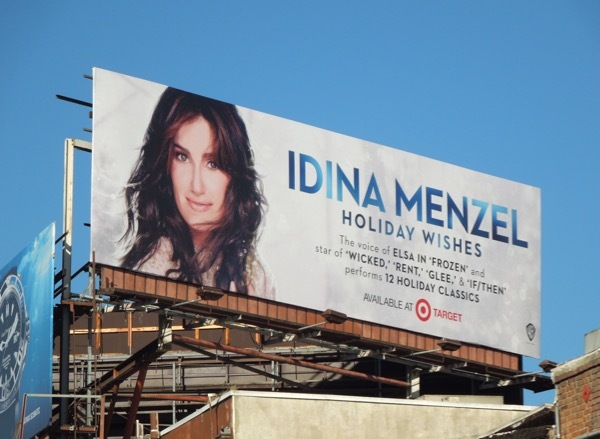 And for all the Idina Menzel fans out there, here's a special bonus, her Holiday Wishes festive album billboard snapped along L.A.'s Sunset Strip on October 24, 2014 and the billboard for her smash Broadway musical If/Then photographed in New York City's Times Square on November 3, 2014. 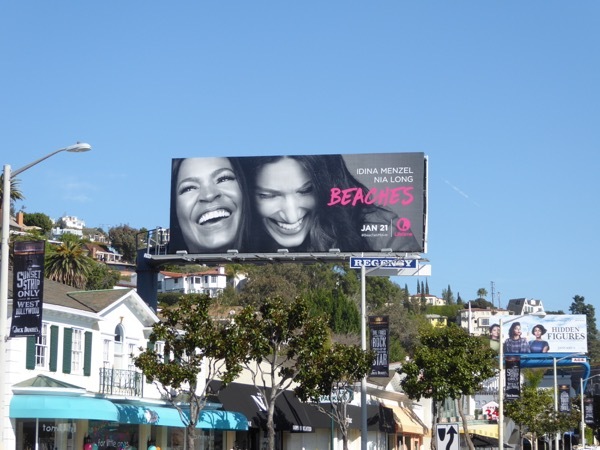 Meanwhile Nia Long admirers can enjoy these movie billboards for The Best Man Holiday from 2013. 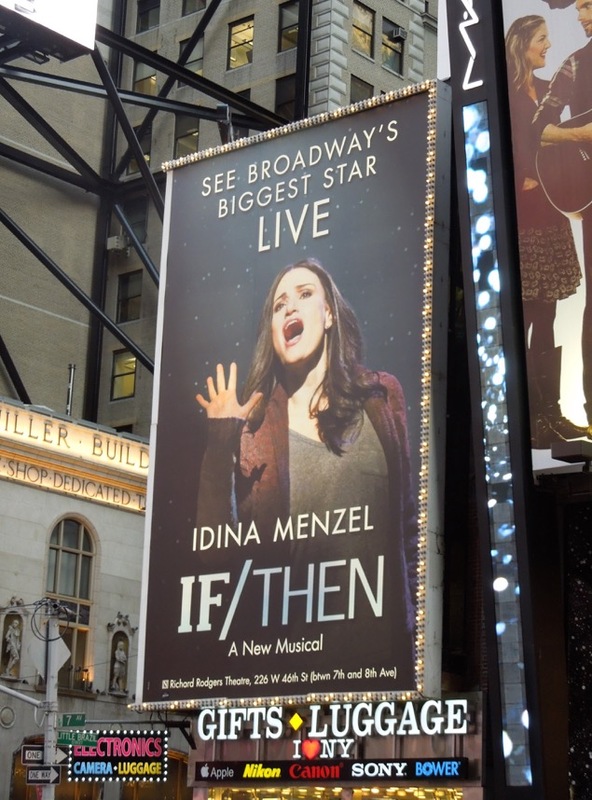 Grab your hankies, as we're sure regardless of how it compares to the original weepy, by the end of this movie you'll be shedding some tears.